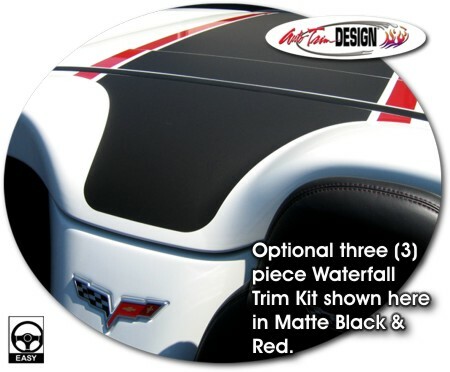 Kit is PRECUT & ready to install in a wide variety of colors - NO TRIMMING required! This stripe package is not just a set of straight strips in a box. 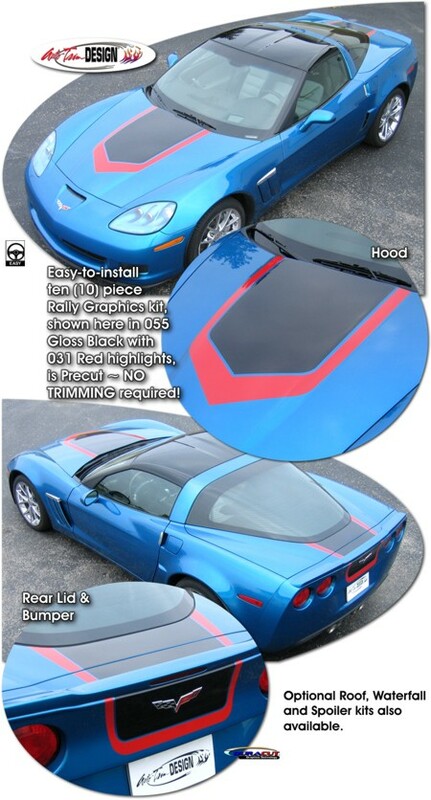 Graphic kit consists of prefitted and contoured pieces as shown and specifically fits the C6 body style Corvette.